"Therefore encourage each other..." 1 Thessalonians 4:18. Life can be challenging at times, full of challenges and disappointments. We are commanded by Scripture to encourage and help one another. Lords Art has Christian home décor gifts that encourage; gifts that remind us to keep our faith and hope; gifts that remind us that God is in control and never allows more into our lives than what we can bear up under. These Christian gifts that are a constant source of enlightenment and strength in difficult times. 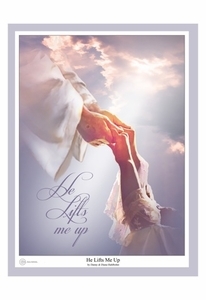 Brighten up someone's day with an encouraging Christian wall decor gift from LordsArt.com that will be remembered for years. We carry Christian wall art, home and wall decor, crosses, table decor and much more that is designed to provide encouragement. You’ll find the most inspirational and heartwarming Christian home décor and gifts at LordsArt.com today.